Only 12 years ago, Sri Lanka was in the midst of a brutal civil war between the insurgency force known as the “Tamil Tigers” – which was a paramilitary force fighting for independence in the predominantly Hindu Tamil north of the country – and the government in Colombo, which was predominantly Buddhist. However, the civil war finally came to an end on Monday, 18th May, 2009 after a major government offensive wiped out the resistance forces in the fr north of the island. Sri Lanka is home to some spectacular beaches, many of which are only just being discovered, so you can often have them all too yourself! But culturally, it is also home to the “Pali Canon”, which is considered the oldest written teachings of the Buddha dating back to at around 100BC. It is sacred to Buddhists, but especially Buddhists who practice in the Theravada tradition which was founded in Sri Lanka. For them, it is the oldest original teaches of the Buddha that have not been altered over the last 2000 years. 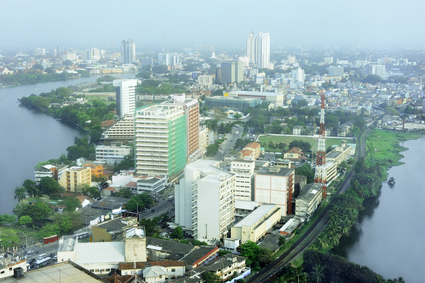 Colombo– the capital – is the gateway to this island nation, and it has an impressive amount of flight routes from regional airlines like Air Asia, as well the national carrier Sri Lanka Airways, which has flights from many European cities direct to Colombo. Indian airlines offer cheap flights from India, and Sri Lanka is becoming a popular ‘side trip’ from people who are travelling long-term around the Indian subcontinent. In terms of what there is to do, for such a small island nation Sri Lanka really offers up a mixed medley of activities, sights, culture and historical sites. Firstly, the city of Jaffna in the far north of the island was off-limits 8 years ago, being the base of the Tamil Tigers resistance forces. Today, however, it is a real showcase of Hindu-Tamil culture that dominates this area of Sri Lanka, and the star attraction is Nallur temple, a beautiful Hindu temple partly painted by gold leaf with various colourful Hindu deities inside. Around the Jaffna region are also beautiful and isolated beaches as well as old Portuguese forts dating back to colonial times. Further south west and down the coastline is even more fascinating as it is home to the ancient city of Anuradhapura, which was first settled in 900BC. Indeed it was the former capital city up until 1000AD, and being such a large city when it was inhabited means there is a lot to see. Tickets cost $25 for day admission and will easily get to see all of the ancient sites if you hire a tuk-tuk. Some of the highlights are the Bodhi Tree Temple, which is considered one of the most sacred sites in all of Sri Lanka, since it’s claimed that the tree here is a cutting that was taken from the original tree where Buddha attained enlightenment, in modern day India. Other attractions here include the citadel that protected the city, which also include palaces attached to it, as well as ancient monasteries. Activities such as surfing along the choppy western and southern coast lines is now just becoming popular, and are suitable for beginners and veterans alike. Finally, Kandy, located in the heartland of Sri Lanka is Sri Lanka’s second city and considered to be it’s cultural heartland too. It was declared a UNESCO site in 1988. Kandy also has a cooler climate than the rest of Sri Lanka as it’s alleviated, which brings relief to those who find them a little bit sick of the hot and humid lowlands. The city is surrounded by dense lush green rain forest, and it’s star attractions are firstly the “Temple of the Tooth”, which is said to house a tooth of the Buddha himself! The Bogambarara Lake is next door to the ‘Temple of the Tooth’ and is beautiful in the evenings and sunrises as it reflects it perfectly. Other attractions include the Royal Botanical Garden in Perdaeniya, which is a beautifully maintained garden much like Kew Garden in London, England. Expect to see lots of Banyana trees and bats towards the evening. Other delights include an Elephant sanctuary, a tea museum and a more sombre Commonwealth War Memorable dedicated to Commonwelath soldiers who lost their lives during world war II. Getting around Sri Lanka is fairly easy, with trains that are old, but pretty efficient and are often cheaper than buses. The railroad also takes routes that often cut through rainforests and farmers fields and being able to walk around the train and look at all the windows is a great experience. So, Sri Lanka it’s opening it’s doors to the world now with it’s fascinating mish-mash of Buddhist and Hindu cultures that now thankfully live in peace. Just don’t wait to see if you want to come to Sri Lanka, because those isolated beaches will no doubt not be isolated much longer when mass tourism takes over and starts building luxury resorts!